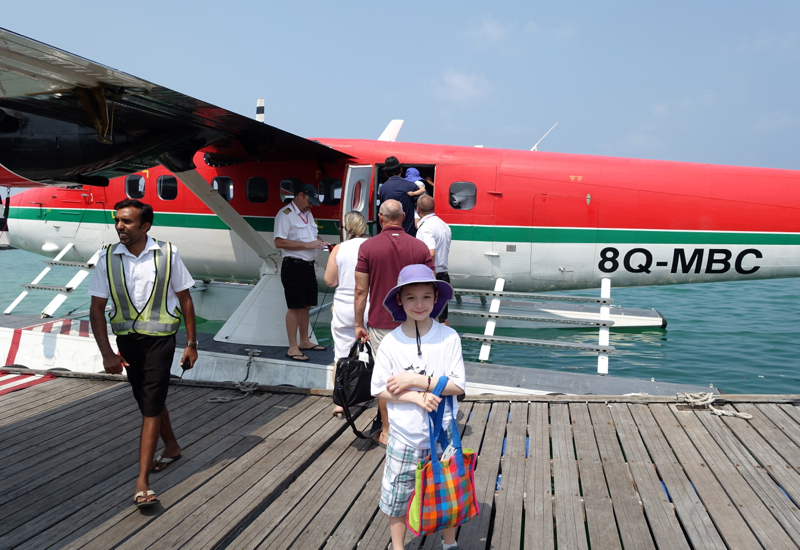 This Trans Maldivian Airways Seaplane Review is part of a trip report including luxury resorts in the Maldives, such as Four Seasons Landaa Giraavaru and Soneva Fushi, as well as Etihad First Class and Business Class. Trans Maldivian Airways started as Hummingbird Island Helicopters and switched to an all seaplane fleet by 1999 to compete with rival company, Maldivian Air Taxi. Blackstone Group bought majority stakes of both companies in 2013 and merged them into a combined fleet of 44 seaplanes, which is the largest single seaplane in the world. Due to the merger, there is no longer any competition for seaplane transfers in the Maldives. Trans Maldivian flies over 40 Twin Otter Series 400 aircraft. There are about 18 seats on board these unpressurized aircraft, and seats are quite tightly spaced. 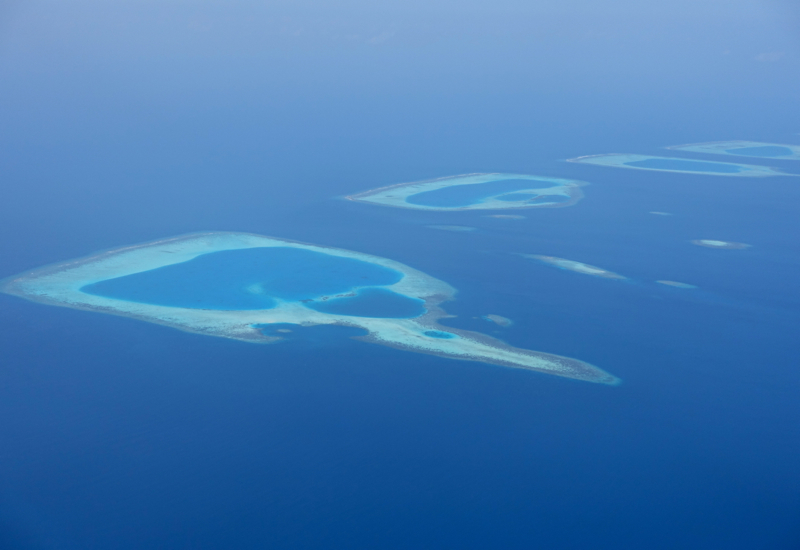 Fortunately, most seaplane flights in the Maldives are under 1 hour, which is bearable. Since noise can be an issue, I recommend bringing effective earplugs with you. 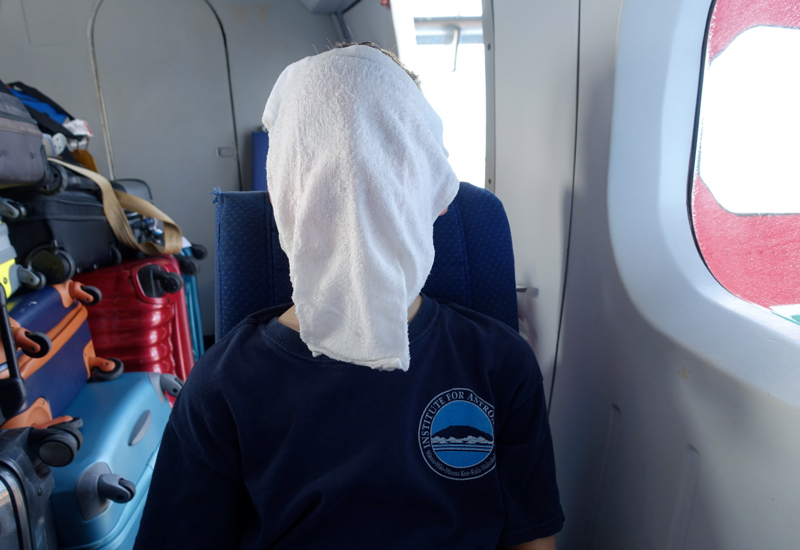 Most resorts provide some foam earplugs for the flight, but these often seem to come out, especially kids' ears. While your resort may provide its own Male Airport lounge, the actual seaplane schedule and operations are controlled by Trans Maldivian Airways, and the exact time isn't known to the resorts until the day before, so you may not be given your departure time until 7-8pm the night prior to departure. 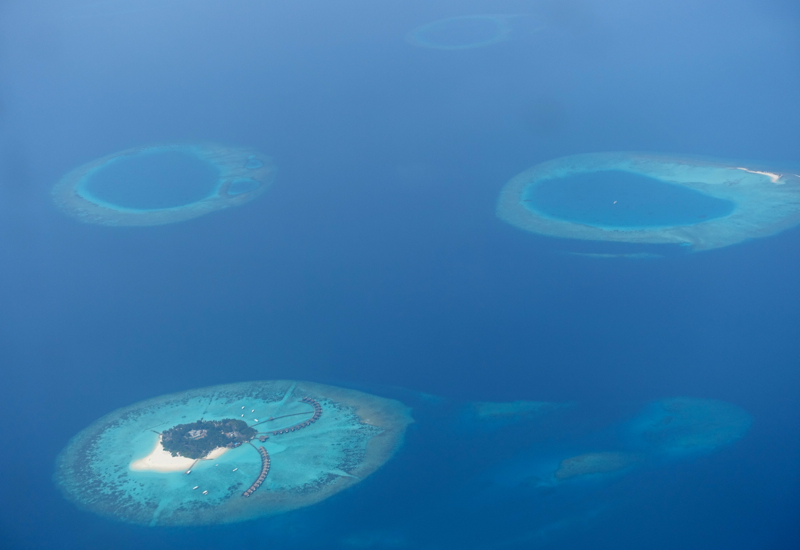 Even when you are given a time, be aware that it can shift a bit, especially if you are connecting (as we often were) to another seaplane flight to another resort, rather than an international flight from Male. Just keep in mind that the seaplanes can only fly during daylight hours, sunrise to sunset. So if you don't want to overnight in Male, plan to arrive in Male by 3:30pm, and depart from Male no earlier than 9am. The standard limit is 20 kg. of checked luggage and 5 kg. of hand luggage per person, but we had no issue bringing all of our hand carry luggage directly to the plane (since we never check luggage on our international flights). The Verdict: It's not as if you have a choice of seaplane companies any longer, so Trans Maldivian Airways is really your only option to get to a number of resorts. 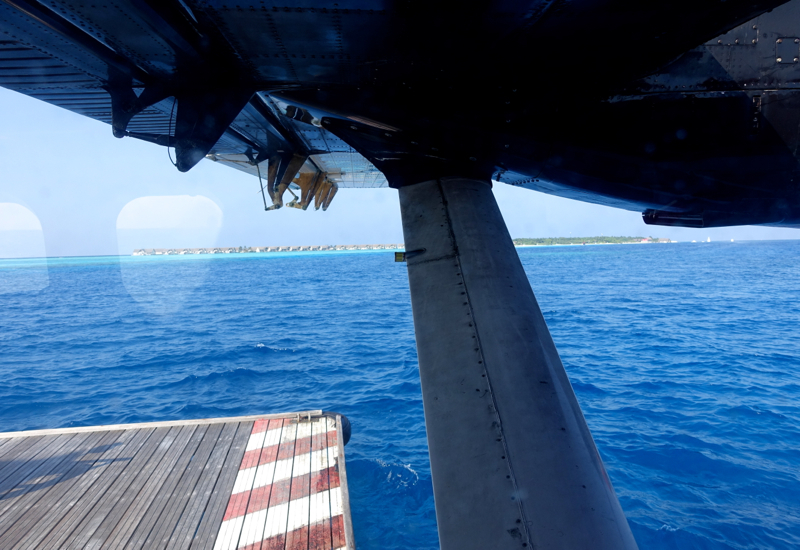 We've taken about 6 seaplane flights now, and with the exception of our departing flight from Conrad Maldives where we had some false starts, the flights felt very safe. The flights aren't very comfortable (but at least they're short) and are quite expensive, so I do wish there was competition for Trans Maldivian to provide a check on prices and a greater focus on the passenger experience, including more advance notice of flight schedules. 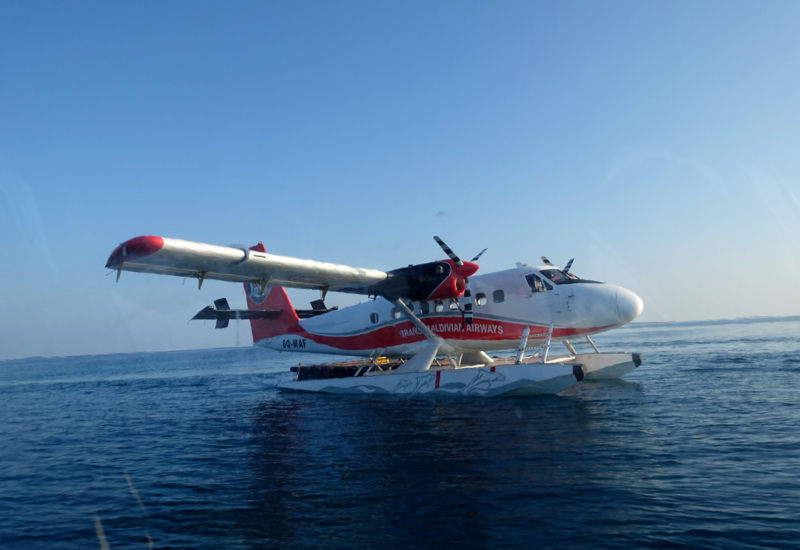 If you've flown in a Trans Maldivian Airways seaplane recently, what was your experience? Disclosure: We paid for all of our Trans Maldivian Airways flights. The views expressed in this post are my own. If you enjoyed this, join 180,000+ readers: please follow TravelSort on Twitter or like us on Facebook to be alerted to new posts. Become a TravelSort Client and Reserve Soneva Fushi with Virtuoso Benefits! 2 Comments on "Trans Maldivian Airways Seaplane Review"
Leaving Carpe Diem beach resort the TMA seaplane was over an hour late. The small, dirty, noisy, plane lands NOT near where your flight home leaves thus your even more late for flight home. They could care less if you miss your flight. This is why resorts close to Male cost more because they pick you up in a speed boat and you don’t need to use the seaplane.